For some time, Adobe was rumoured to be building a real platform independent video and audio app, that works across all devices and that lets you capture on one device, store in the cloud and edit and publish on another device, mobile, tablet, laptop or desktop. 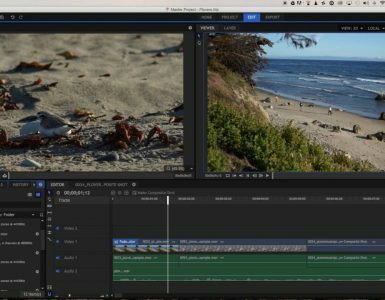 Adobe already has its flagship NLE Premiere CC, as well as its little cousin Premiere Elements and a mobile editor (Spark), but now Rush joins the Premiere product range. Premiere Rush CC is a brand-new app for creating and sharing online videos. Rush works across all devices and is designed to be not only easy but also user-friendly on all screen sizes. On your smart phone or tablet, Rush can make use of the onboard camera to capture video, but it is just as easy to import media from other cameras or other sources. The editor is very intuitive and includes tools for (limited but effective) colour correction, for audio manipulation,for titling and motion graphics based on for example a range of templates that are built into the app. 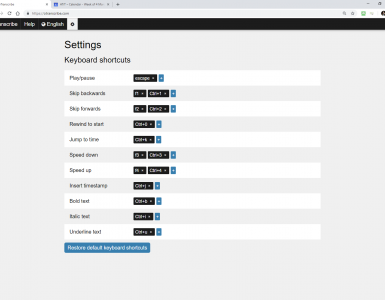 This allows for quick and dirty capturing and editing within Rush (and even publishing immediately on social media). But because everything is synced to the cloud, the same project can be opened and edited also immediately within Premiere, giving access to all its extensive professional functionalities to process the same media. Available on iOS, Mac,and Windows. Android will follow soon. Free trial version available. Premiere Pro users have access to Rush.